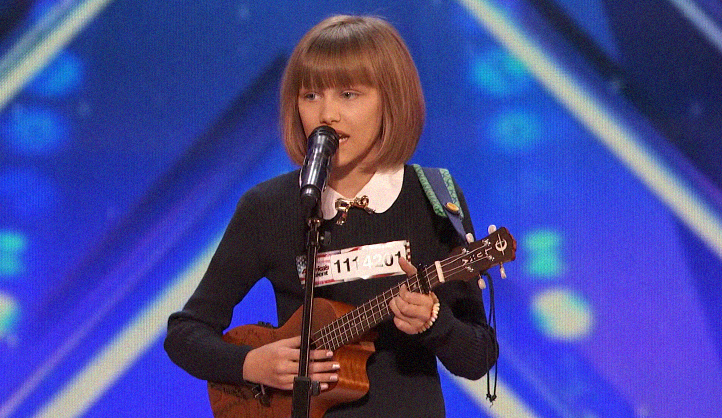 Grace VanderWaal's audition in Episode 1102 consisted of singing her original song "I Don't Know My Name", a song about finding who you are and where you fit in, while playing the ukulele. Moved by her performance, Howie Mandel pressed his Golden Buzzer to send Grace straight to the Live Shows. Simon Cowell later commented that he thought that she could be the next Taylor Swift. Lyrics for songs "I Don't Know My Name"
"I Don't Know My Name"
I now know my name!